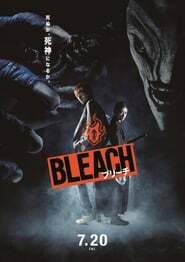 Ichigo Kurosaki is a High School student, living in Karakura town. He’s in touch with the underworld and is able to see ghost and other spiritual beings since he was a kid. An encounter with Kuchiki Rukia, a soul reaper will lead him to become one as well. Ichigo now with this power is able to protect the Karakura town from an upcoming menace.